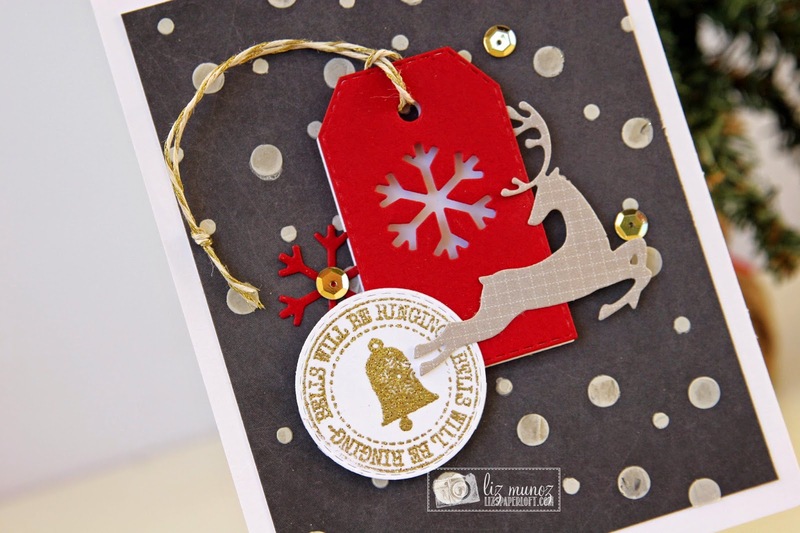 Liz's Paper Loft: OCC Day 5 ~ Bells Will Be Ringing! OCC Day 5 ~ Bells Will Be Ringing! Yep it's me again! This card is a window tag card. After making it I think it would have been more festive if it was a shaker tag. I made a stencil with clear cardstock from Papertrey Ink on my cameo, then used Teresa Collins Moldeling paste for the background. After it was dry I added wink of stella to the dots. I love this card liz. The dotted background is great. Liz ~ BEAUTIFUL and I so need to borrow this because I of course LOVE the products but the color combination!!! Card ~ you are so sweet! PK Sneak Peak Day 2 ~ The Holidays Are Here! MCT November Release Sneak Peek Day 4 ~ Hello! PK Sneak Peek Day1 ~ Howdy! MCT Designer Challenge ~ Thinking Of You! Tag ~ Merry and Bright! 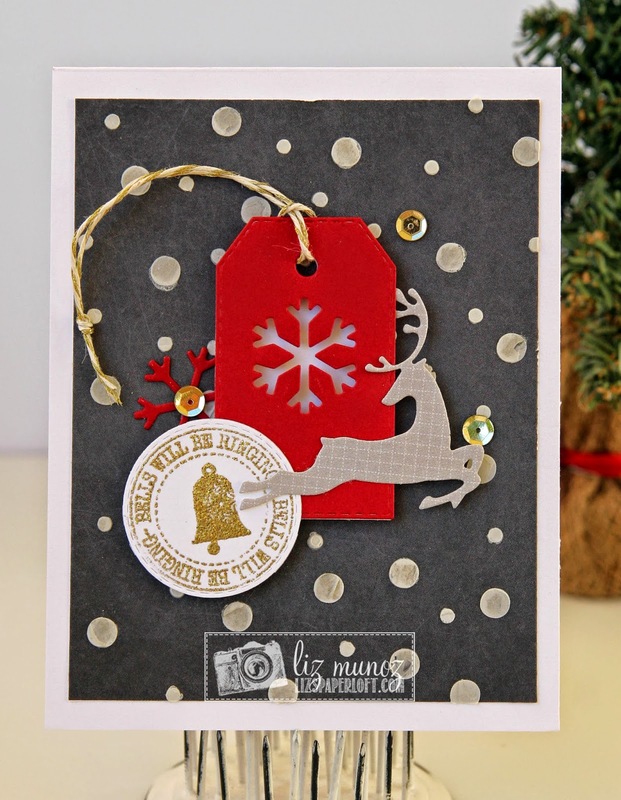 MCT Tag It Tuesday ~ Happy Birthday! OCC Day 2 ~ North Pole Shaker! OCC Day 4 ~ Winter Hi! OCC Day 2 Slider Card ~ Oh Joy! OCC Day 1 ~ Merry & Bright! MCT Trending Now ~ Believe! 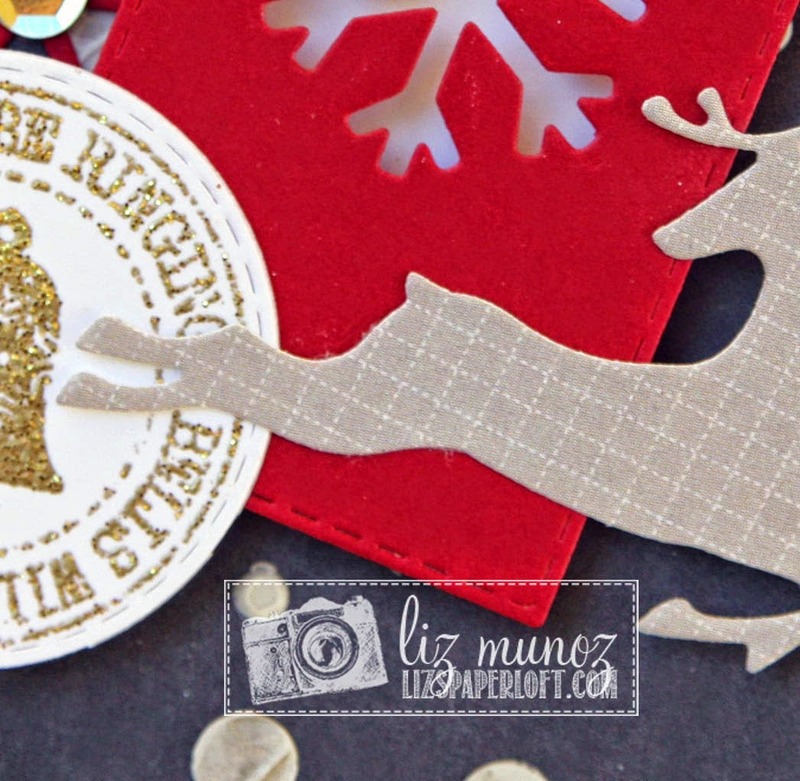 MCT Stamp/Die of the Month ~ Happy Thoughts!